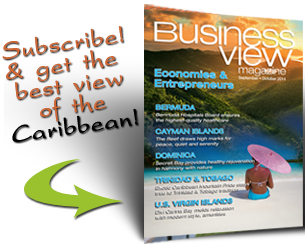 Business View Caribbean interviews Ronald Jackson, Executive Director of CDEMA, as part of our focus on best practices in the Caribbean region. 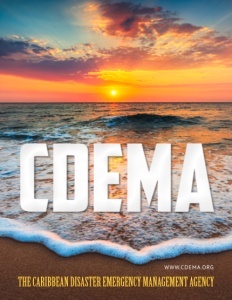 CDEMA’s precursor was created in 1991 as CDERA – the Caribbean Disaster Emergency Response Agency – with the primary responsibility for providing coordinated emergency response support and relief efforts to participating states that require such assistance. “Unfortunately, when CDERA was created, its mandate, at the time, focused on only one half of the broader outcome of Pan Caribbean Project for Disaster Preparedness and Prevention,” Jackson continues, “which was the half that looked at mobilizing and coordinating disaster relief support, mitigating and eliminating the consequences of disasters in participating states, coordinating relief to an affected member country of CARICOM, and also providing information to any partner, be it interested governments, organizations, or stakeholders on what was happening in the affected member countries. 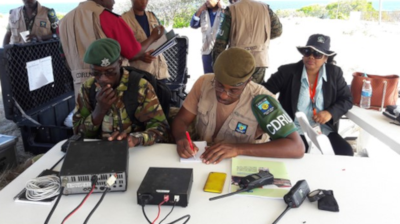 As reorganized, CDEMA refocused its attention on Comprehensive Disaster Management (CDM). 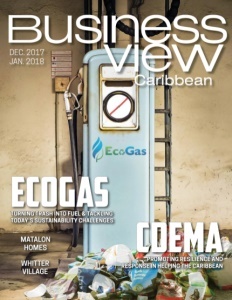 “When CARICOM created CDEMA, it looked at the context which existed then – fragile economies and ecosystems in extremely vulnerable condition, and it sought to unlock the potential for regional integration movement and, in particular, functional cooperation in CARICOM in relation to disaster management,” Jackson says. CDM, then, is an integrated and proactive approach to disaster management that seeks to reduce the risk and loss associated with natural and technological hazards and the effects of climate change to enhance regional, sustainable development. The agency focuses on all phases of the disaster management cycle, involving all sectors of the society, and concentrating on all hazards. When a disaster strikes, a participating state may request assistance as long as the state determines that control of the situation is beyond its national capability. This includes disasters resulting from natural hazards such as hurricanes, floods, earthquakes, and volcanic eruptions, as well as man-made disasters such as oil spills, chemical accidents, aircraft crashes, and industrial fires. Upon receipt of the request for assistance, CDEMA is responsible for soliciting and coordinating assistance from governments, organizations, and individuals both within and outside the region, who can provide the specific resources or expertise most urgently needed. Other participating states can play an important role in this regard as, in many cases, they are well placed to provide assistance because of their similarities, close proximity, and close ties. 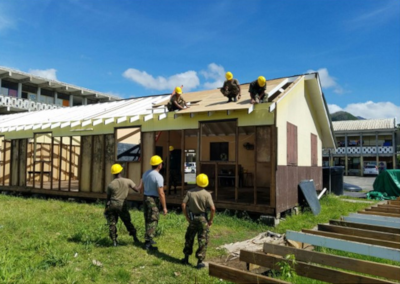 Types of assistance provided or coordinated by CDEMA in the past have included: relief supplies, emergency communications facilities, emergency management personnel, damage assessment personnel, search and rescue personnel, rapid needs assessment and financial assistance. CDEMA is funded by its members under a formula which takes note of the population size and economic conditions of each constituent state. Additional funds are secured from various development banks, foundations, and organizations, such as the European Union and the U.S. Agency for International Development (AID), as well as governmental affairs offices of countries such as Canada, the UK, Austria, and Brazil, among others. Jackson says that the agency’s goal is to raise approximately $30 – $40 million (US) for the next three years of its operations. Originally, in order to be a member of CDEMA, a country had to be a member of CARICOM. “But that was transcended by the opportunities presented to other countries to seek what is called associate membership with CARICOM and that is the situation we have with the British Overseas Territories,” Jackson says. “So, we have 14 full members of CARICOM and four out of the six British Overseas Territories, with the Cayman Islands and Bermuda still not being members of CDEMA. We recently had discussions with the Dutch around joining the organization specifically St. Maarten, and we have been in dialogue with the French territories, which are not independent, regarding establishing a cooperation agreement. These efforts are designed to fully realize and express the potential benefits of having a wider, regional system. “Historically, we’ve been able to provide a real return on investments by member states, without even taking into account disaster response support. We were operating at a minimum of a one-to-one, to a four-to-one, return on contributions by member states in the best of times. This is real financial returns and does not include the cost of the human resources that are also employed in providing services. So, if I were to add the human resource, technical assistance support that the members states have called on, and we provided, and we would then layer on top of that the value from our responding to these events, it would be tremendously higher, and it’s something we’re going to be working to better illustrate to member and non-member states. Going forward, Jackson believes that CDEMA’s mission is more relevant today than when it was first established, because of the potential dangers posed by climate change. “I think the challenges facing the region from the changing climate, or the climate’s variability, present a real threat to the security of the citizens of the region, which will result in more humanitarian consequences,” he declares. “And this is where CDEMA, in terms of its ability to harness the region’s capacity and respond to the needs of member states is really illuminated, and that presents great opportunities for the region in advancing the agenda for resilience. CDEMA was the first institution that put this conversation on the table in 2001 and focused on it from a strategic point of view. That agenda, which is now becoming so central in the discourse, still remains a fundamental agenda for CDEMA and so, I think, the future presents a lot of opportunities for the regional system, in that regard.